What is the ultimate goal of your automotive SEO campaign? Is it to get more people onto your website? Or is it get more people to visit your dealership? Many campaigns have the fundamentally wrong goal. Getting people onto your website is great, but because you can only sell cars if people actually come to your lot, it doesn’t mean much if they don’t actually take the next step and leave the comfort of their own homes and visit your dealership. Many people make the mistake of assuming that SEO’s only function is to get more people to your website. In reality, its function is to bring you more sales—and you can only do that if the strategy encourages them not only to visit your website, but to visit your dealership. If you are not working with a professional, right now is the time to start. An automotive SEO expert will understand how important it is to craft a strategy that goes beyond just increasing your rank in search results. SEO can actually play a huge number of roles, if given the opportunity. Most people limit SEO just to drawing traffic, ignoring the fact that the content that you write will have just as much of an effect on whether or not people comes to your dealership as it does on whether or not they find the website in the first place. A professional will have a strong grasp on this fact and will know how to properly implement optimization to make sure it plays more than just one role. 2. Do better keyword research. Are there keywords that are going to be better for bringing people into your dealership? What is the difference between these two searches? The first search is more focused on research. The person who searches for this keyword is still looking for information about the vehicles they are interested in buying. The person searching the second keyword, however, is looking for a dealership from which they can buy a vehicle. The intents behind the keywords are different. You want to bring people to your website who are intending to buy. When you visit a website and their content has obviously been quickly written by someone who does not really care about the business or what they have to say, are you inspired to get into contact with that business and spend your money there? Like most people, you’ll probably click away and go looking for a website whose owners have at least attempted to make their content welcoming. The content on your website is the foundation of your SEO strategy. If the content is not valuable and engaging, it is going to send any visitors you do get back into the search results, looking for a different dealership to purchase from. 4. Make your contact information readily available. If someone needs to ask you a question or if they are so excited by your website that they want to come and buy a vehicle from you immediately, is it easy for them to find your phone number or to find your physical address? This is something that is rarely discussed when it comes to SEO, because so many businesses that rely on optimization do all of their business online and do not actually expect that their customers will want to contact them via phone or in person. 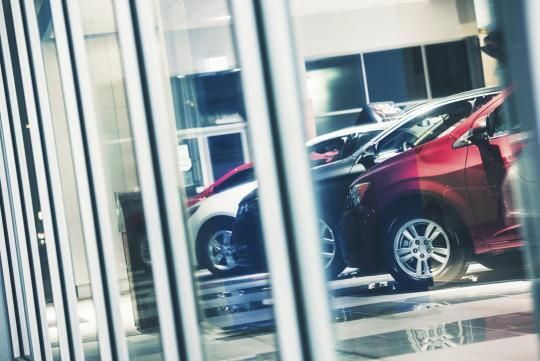 It is, however, vitally important for your business, which relies entirely on customer coming to your brick and mortar dealership to purchase a car. There is nothing more frustrating than being ready to take action and then being waylaid by an inability to find the physical address where you could go to purchase that car. 5. Make sure your local listings have been claimed and all information there is correct. First, incorrect information there will hurt your automotive SEO effort. Search engines will see a discrepancy there and your authority will be wounded. More importantly, one of these directory listings might be the first thing a customer finds about your business. Say, for example, that you moved your dealership to a larger location recently. Your local page on Google+ still has your old address. A potential customer searches for a dealership selling your brand in their local area and find the wrong address through Google+. They go to that address, and instead of finding you, find an empty lot. While some customers might investigate further and try to find your new address, most will simply assume you are closed and will choose a different brand (or the dealership in the next town over) to purchase from. 6. Ask satisfied customers to leave reviews. Perhaps nothing is as important to encouraging someone to take the step beyond just finding your website and actually coming to your dealership as reviews left by former customers. Buying a car is extremely stressful. It’s an expensive purchase, it requires a lot of time, and many people have had bad experiences buying vehicles in the past. Reviews from real customers on your website is a great way to assuage the wide range of fears that comes with buying a vehicle and can push someone who is on the fence towards actually making a purchase.